Line 9-inch square pan with foil, with ends of foil extending over sides. Arrange half the graham pieces, in 3 rows of 7 pieces each, on bottom of pan. Pulse fruits in blender just until blended. (Some chunks should remain.) 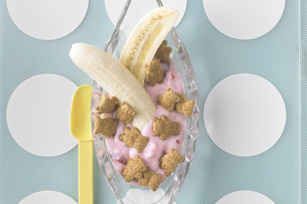 Spoon fruit mixture into medium bowl; stir in yogurt and whipped topping. Spread over graham pieces in prepared pan. Top with remaining graham pieces, aligning to match placement of graham pieces on bottom layer. Freeze 4 hours. 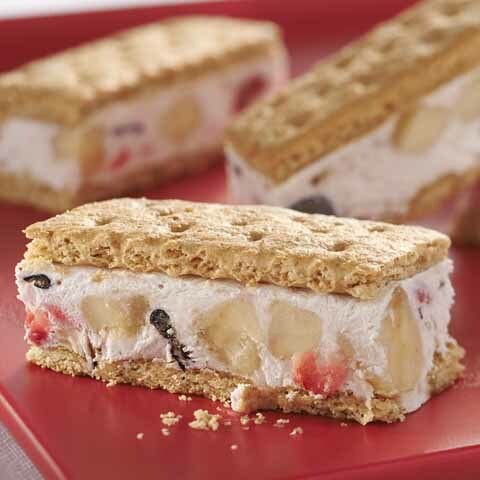 Use foil handles to remove dessert from pan; cut between grahams to form 21 bars. Let stand 5 min. before serving. 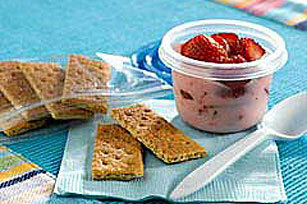 SubstitutePrepare using 1-1/4 cups of your favorite combination of cut-up fresh fruit. NoteFor chunkier fruit pieces, use a potato masher instead of the blender to blend the fruits. 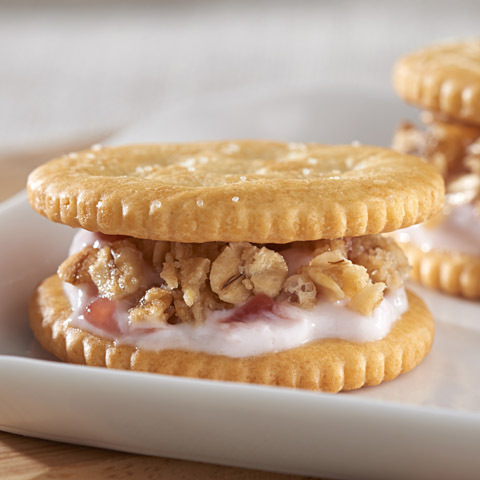 SubstitutePrepare using plain low-fat Greek-style yogurt.